Bayern Munich managed to defeat surprise title rivals RB Leipzig to head into the winter break with a lot of confidence. RB Leipzig have become a surprise outfit to challenge Bayern Munich in a season when the likes of Borussia Dortmund have not been seen near the top of the table. The game against Bayern Munich just before the winter break was seen as a crucial game for the underdogs in their efforts to sustain the title challenge. However, it did not provide the results as expected with Bayern Munich running out comfortable winners after a brilliant first-half performance. Leroy Sane was signed from German club Schalke in the summer for a whopping transfer fee of € 37 million despite the fact that he was only 20. The astonishing transfer fee was for the immense talent that he possessed. However, Sane has found it difficult to adapt to life in the Premier League straight away. He has not been helped by manager Pep Guardiola rotating him in a number of positions and even asking him to play as a wing back on certain occasions. 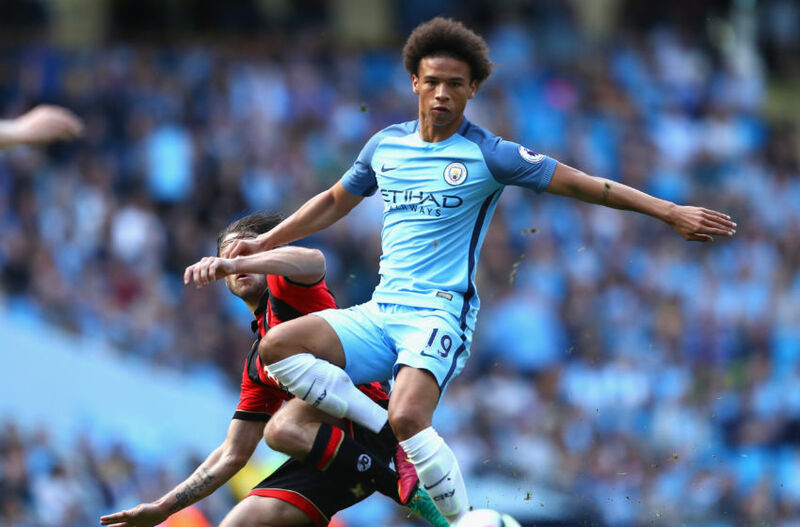 Sane, though, proved that he remains a hugely talented player after scoring the equaliser against Arsenal. Bayern Munich manager Carlo Ancelotti has thanked his predecessor Pep Guardiola for providing him with a fantastic squad. The German club clear favourites to retain the title that they have won in the last four seasons. Guardiola may have been criticised for his inability to win the Champions League with the German outfit, but he has been quite brilliant in every other regard. During his three years at the German club, he managed to create numerous records and it is highly unlikely that they will be broken again. In an attempt to undergo extra training periods with his club, Bayern Munich, Arjen Robben has decided it was best to miss Netherlands friendly game with Belgium. However, the winger would be linking up with the squad in preparations for the World Cup qualifier game coming up soon against Luxembourg. Bayern Munich’s perfect start to the new campaign ended when they hosted FC Koln on Saturday. They had earlier won their first five game of the season, but their trip to Cologne ended their 100% Bundesliga start. In the UEFA Champions League, the Bavarians fell to their Spanish opposition – Atletico Madrid. They dictated the pace of the match, and even hit the bar three times. However, they failed to get any point from the game as they lost 1-0. 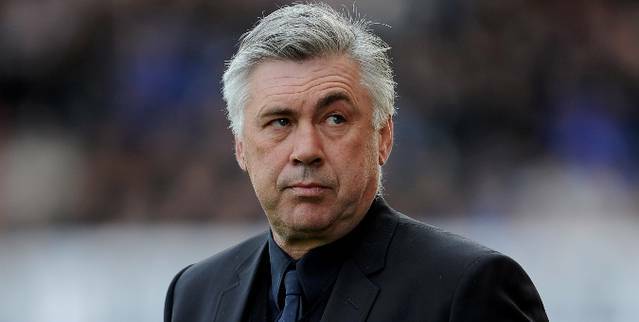 Bayern Munich coach Carlo Ancelotti stated that he is not worried about the current form of the team and that he expects them to recover quickly. Indeed Bayern Munich was held at home by Cologne and has dropped their first points in the Bundesliga this season. The draw followed the defeat against Atletico Madrid in the Champions League. 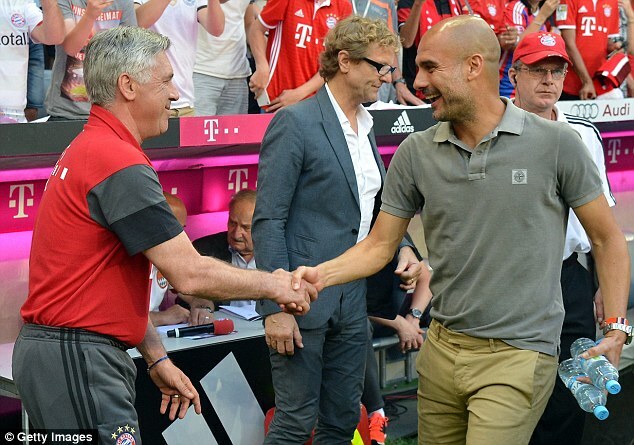 Bayern Munich legend LotharMatthäus has stated that Carlo Ancelotti will be a better manager than Pep Guardiola. He believes that the manager is more experienced and that he will not be experimenting on the pitch. This statement comes after several Bayern Munich has spoken about Guardiola. Bayern Munich’s time under Pep Guardiola for the last three years is being viewed as a failure since the club failed to win the Champions League trophy. Bayern Munich play maker Arjen Robben is set to fight for a starting place in the Bayern team this coming season as Carlo Ancelotti takes over. The player says he is focused on returning to full fitness firstly before discussing anything regarding his contract extension with the club. The former Chelsea and Real Madrid player enters the final year of his deal at the club but refuses to make any comments regarding his future at the club. Robben hasn’t played for the club since his suffering anadductor injury in early March. English Premier League outfit Manchester City has denied the reports that new manager Pep Guardiola would not be able to sign players from the former club he managed, Bayern Munich. Douglas Costa made the shocking claims but the club said no such thing exists.